Xiaomi has launched Redmi 6 and Redmi 6A budget smartphones at an event in China today. Redmi 6, and Redmi 6A both come with MediaTek Helio chipsets and a 5.54-inch 18:9 aspect ratio display. 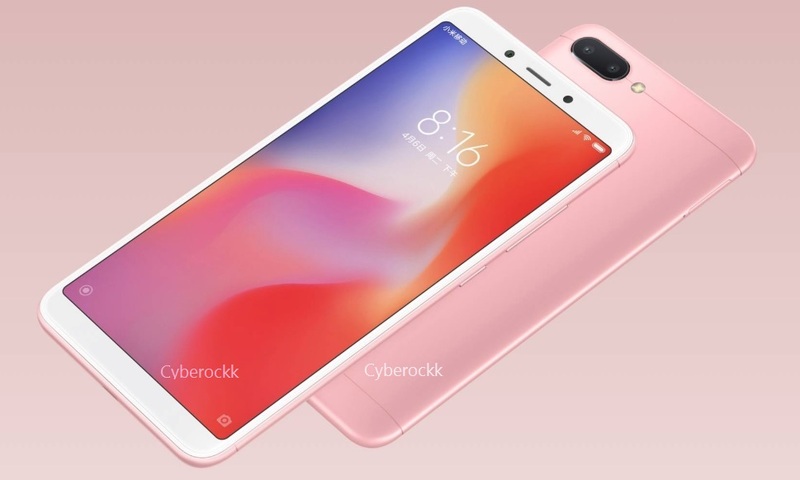 For the availability, the Redmi 6 is said to go on sale starting from June 15 priced at Yuan 799 (roughly Rs 8,000) in China for the 3GB RAM model, while the 4GB RAM version will be available priced at Yuan 999 (around Rs 11,000) from the same date. The Redmi 6A, on the other hand, will go on sale in China on the same date on June 15 along with the Redmi 6. The Redmi 6A will be available priced at Yuan 599 (roughly Rs 6,300). Xiaomi Redmi 6 features a 5.45-inch display with 18:9 aspect ratio. Redmi 6 is powered by Helio P22 processor paired with either 3GB RAM/32GB storage or 4GB RAM/64GB storage version. The new Redmi 6 has dual camera setup at the back sporting a 12MP primary sensor and a 5MP secondary sensor. On the front, it has a 5MP camera that comes with facial unlock feature. The feature will be driven AI. Redmi 6 has a circular fingerprint sensor mounted on the rear side. The phone runs MIUI 10 with Android Oreo. Similar to the Redmi 6, Redmi 6A also sports a 5.45-inch 18:9 display. The phone is powered by Helio A22 processor fabricated on 12nm FinFET technology, little different from the Redmi 6. The processor is clocked at 2.0GHz that is also said to be faster than Qualcomm’s Snapdragon 425 and MediaTek’s MT6739 processor. In terms of camera, Redmi 6A features dual rear camera having a 13MP primary sensor and a 5MP secondary sensor. Up front, it has a 5MP camera for selfies. The phone comes in single RAM/storage option- 2GB RAM/16GB internal storage.